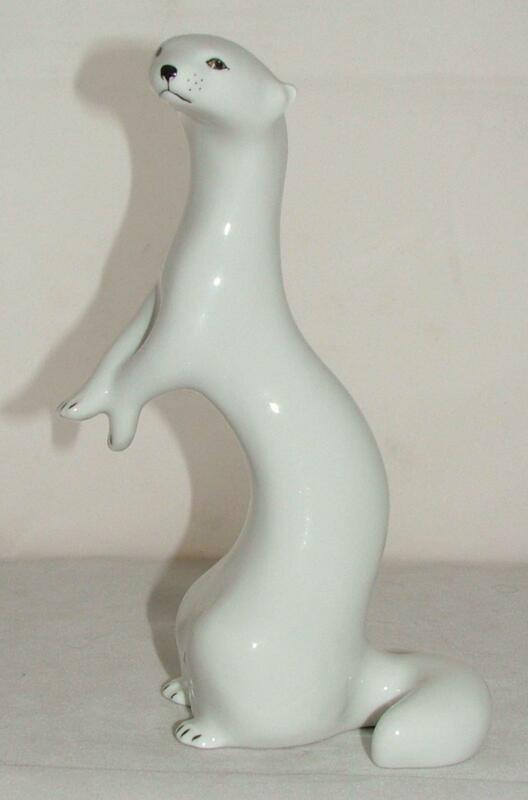 This weasel is from the Lomonosov factory in Russia. It measures approximately 19 cm high by 14 cm long (about 7.5 x 5.5 inches) and will make an excellent addition to any collection of animals. Please note, the Lomonosov plaque is not included as part of the sale.